Communications from beloved pets are seen by thousands every day. Some messages are given in ways that require an acute awareness and more interpretation as well. From the heavens above, signs are given by deceased pets to connect with their families they left behind. Oftentimes, the gifts they share are unseen or are difficult to identify. Learning to speak the language of spirit requires practice, but once identified, the joy of hearing from your Pet in Spirit can bring great comfort. This book is an ABC's narrative for identifying signs, messages, and signals from the afterworld. It shares a simple way to look for, and read, communications from pets in the hereafter. 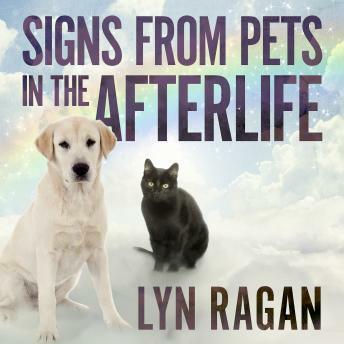 For anyone looking to continue their relationship with a beloved pet in the afterlife, this book can help you identify their gifts from Heaven. Love lives forever . . . and so do our souls.